Are you looking for an exclusive and truly special experience in one of the most famous baths of Budapest? One of the most definite and popular baths that utilizes this miraculous endowment is the Gellért with its fabulous Art-Nouveau style and wide range of pampering services. Even though you have probably heard about this establishment you are most certainly not aware of what this massive bath hides beneath its floors. A professional local guide of the bath will lead you into the experience by speaking about the 2000 year history of Gellért while taking you ‘behind the scenes’ into places no visitors are allowed normally. This 45-minute tour is a truly one of a kind and unforgettable journey into a world that remains uncharted for most visitors of Budapest. Discover a whole new, astonishing side of the Gellért bath with secrets and mysteries at every turn! 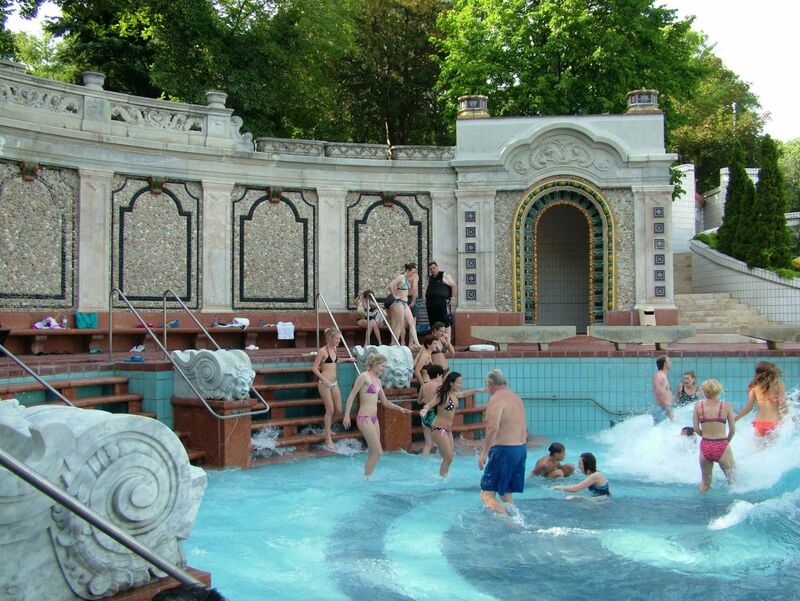 After mysterious tour on the base of astonishing bath you have a chance to enjoy your day on Gellért bath`s spa, outdoor pools and steam rooms with lots of option. The bathing facility standing here today is the most prestigious one in Budapest, visitable during any time of the year. The fast track entry tickets provide VIP entrance, so you will be able to avoid queues and relax in a luxurious environment. The large variety of treatments and Thai massages will make your experience even more relaxing. The tour is not reccommended for those guests who have any problems with their lungs or women during pregnancy. Prepare for high humidity and the strong smell of thermal water!